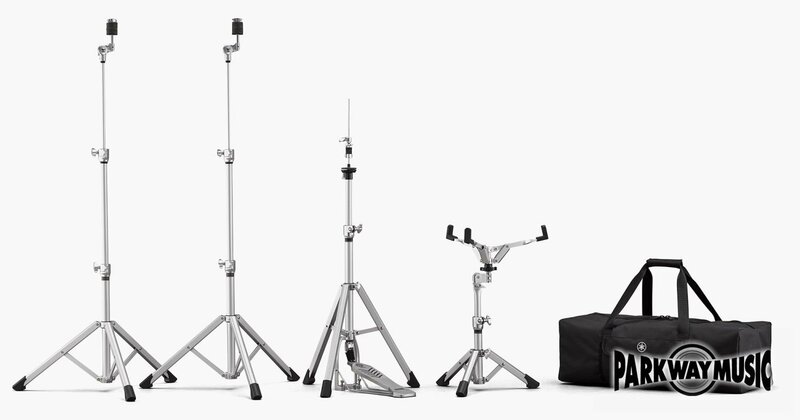 Includes hi hat, snare and 2 cymbal stands. 17.3 LBS. total weight all 4 stands !! NEED WE SAY MORE? These fold up really small for easy transport.